"When your feet are cold, cover your head" - Inuit saying. Clothing to make you proof against the elements. The brain is one of the most metabolically active parts of our bodies, generating heat continually, it is important that it is kept at normal body temperature so that it functions correctly. This means that the head operates like a radiator that can't be turned down, and always loses heat, especially as the external temperature drops. Not to mention that it hurts having really cold ears! 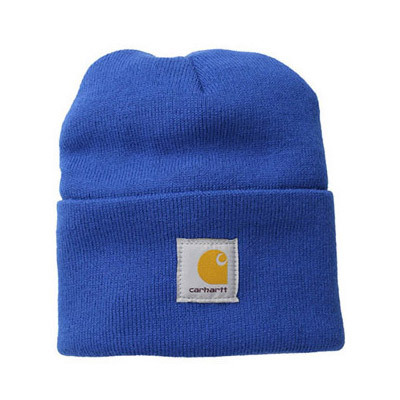 Wearing a hat is one of the quickest and easiest ways of keeping warm with the advantage that hats are relatively cheap and light to carry. If you still feel cold despite wearing more, particularly at the extremities, putting on a hat is the simplest way to deal with it. We don't really feel the cold in our head like the rest of our body (when was the last time you felt like you had a cold head?) so it doesn't always seem a particularly obvious thing to do. Getting into the habit of putting on a hat when you stop for a break and so stop generating heat by movement is a good one to develop for your comfort and safety. 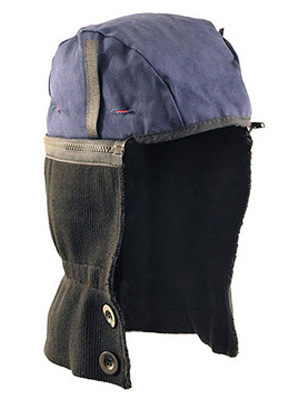 In extremely cold weather you will have a shell-garment with an attached and probably insulated hood. 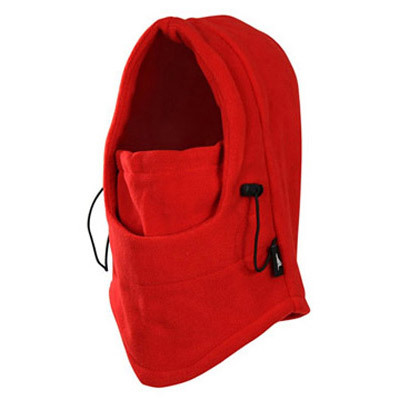 Hoods limit visibility and awareness of the world around you and can be quite noisy as they move against your ears. 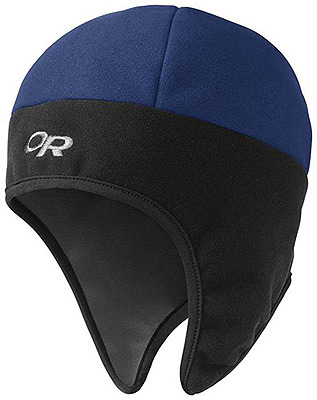 A hat allows you to keep warm with greater freedom of movement without the hood being raised and also provides extra insulation when increasing wind speed and dropping temperatures become threatening and the hood is raised as well. 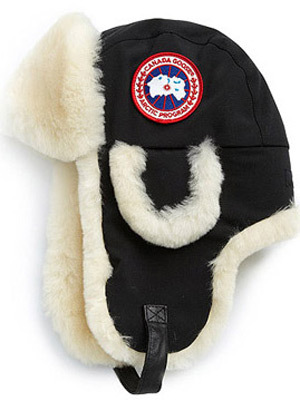 There are an almost endless variety of hats available, all of which will help to keep you warm to some degree. 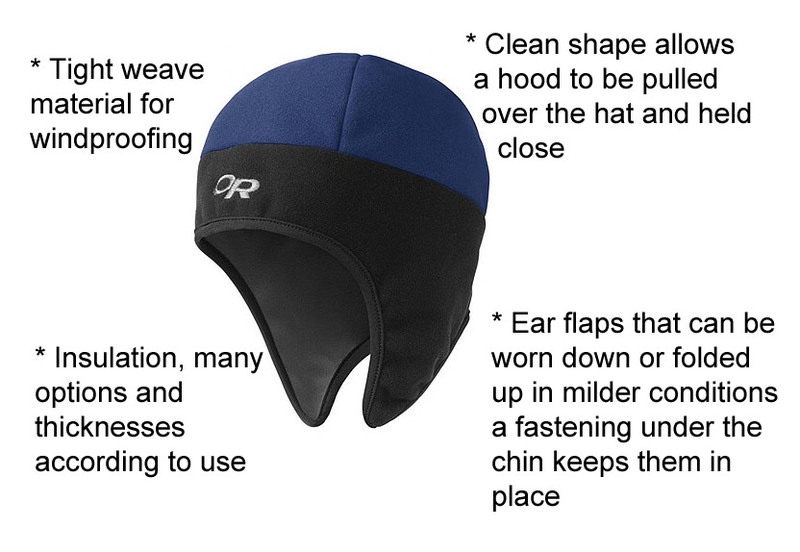 The most effective are close fitting, cover the ears and preferably are without external additions such as pom-poms that prevent a close fit when the hood is pulled up. 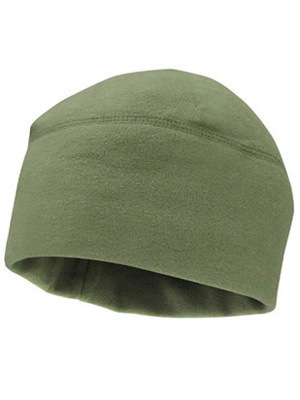 1- A synthetic fleece wind stopper hat - small enough to take up very little room in a pocket and has a warmth far beyond what should be reasonable for its size and weight, the flaps can be pulled down when it gets colder or folded up when not so cold. 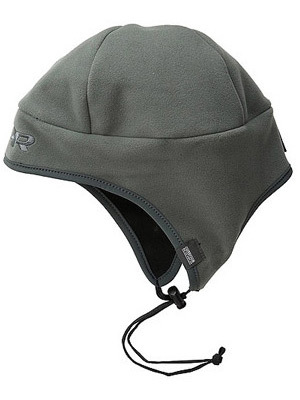 It has a layer to stop the wind in its tracks and the clean smooth shape means that a hood fits neatly over the top with no chilly gaps. 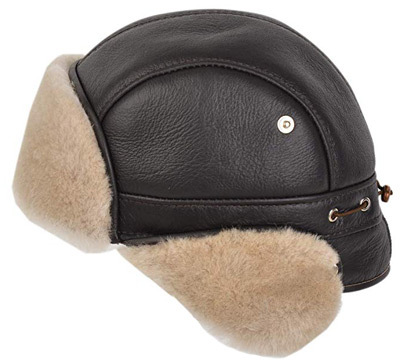 2 - A shearling trapper or aviator style hat this is bulkier than my other choices and it's for those times when you know it's really cold and you're going to have it on the whole time. 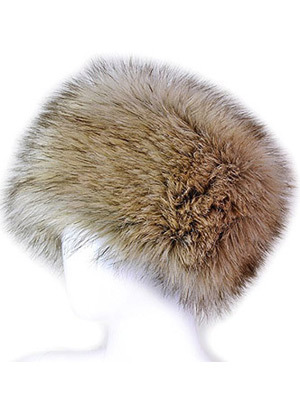 Make sure it's genuine shearling and not faux, there is no comparison in softness, comfort and warmth. 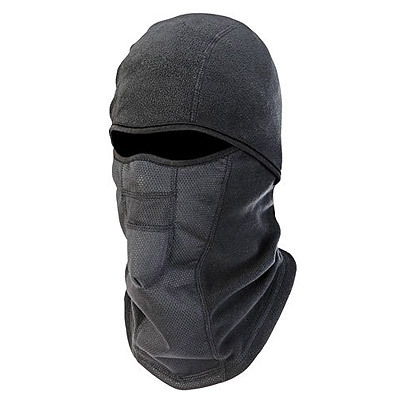 Again a clean shape makes a hood fit neatly over the top, I look forwards to wearing mine when winter gets cold enough..
3 - A balaclava very effective, worn rolled up as a hat or rolled down as an almost full face covering under your hood. If they cover the mouth and nose, they have the advantage of keeping that area warm, so decreasing the chances of picking up colds and flu which can get a better foot-hold in a chilled upper respiratory tract. 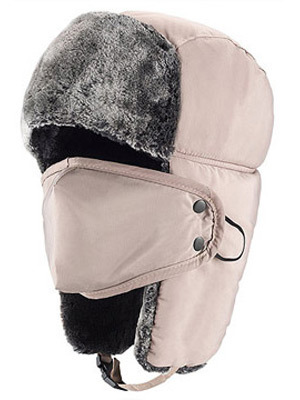 You'll need another hat or hood too when it gets really cold, but they aren't so expensive. Materials - polyester fleece or natural materials such as wool (merino wool is premium), shearling (sheepskin) or fur are very effective and should be chosen for maximum performance. 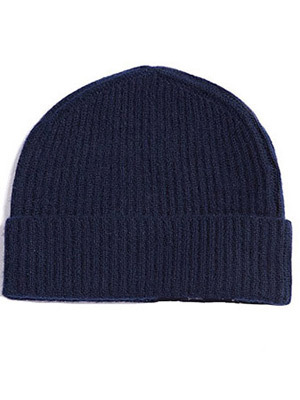 Thinsulate - a brand name of synthetic insulation that is often found in hats and gloves. Thinsulate is effective and usually fairly inexpensive, preferable to acrylic for a similar price. 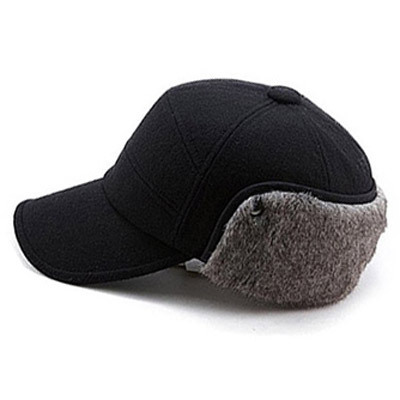 Cheaper hats are often made from acrylic which provides less warmth than those materials already listed and are more bulky when stored in a pocket or backpack. 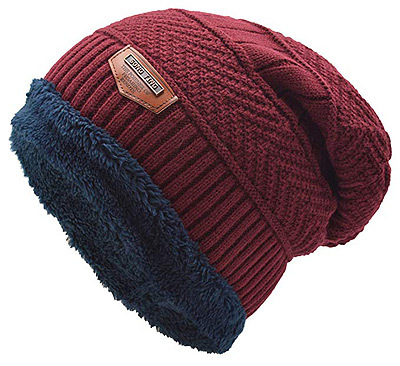 This might however be an advantage if you are wearing the hat for fashion purposes as you can still wear it even though it is not so cold without over heating. 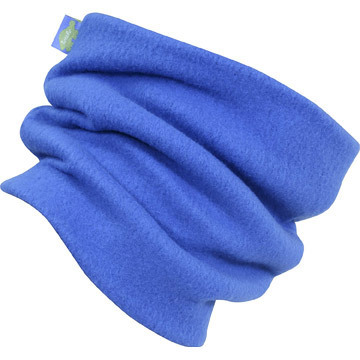 A neck warmer that is worn in a similar manner to a scarf to cover exposed skin at the neck and also keep warm air in your shell layer and prevent it from pumping out. 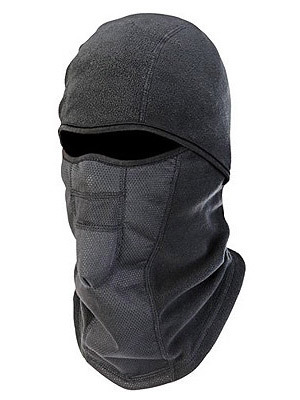 It can be pulled up over the nose in colder conditions and/or to keep snow out when it acts like a balaclava in conjunction with a hat, though with more flexibility. 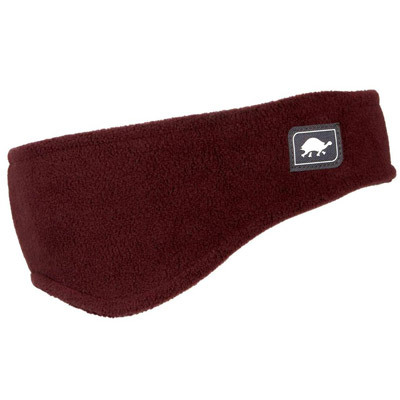 Lightweight and compact, but can make a huge difference to warmth and comfort.